Super Digital Audio Recorder is a powerful real-time sound recorder from any digital resource. 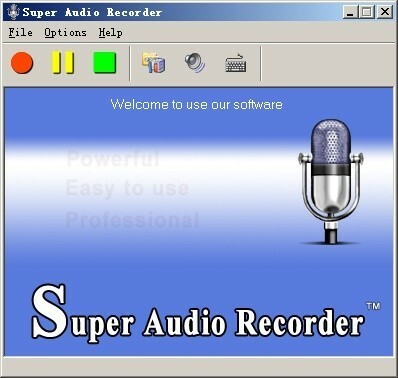 Enables you to record sound, played back through your sound card and any other sound sources like microphone , midi, vcr, microphone, Internet audio streaming, Winamp, Windows Media Player, Quick Time, Real Player, Flash, Games, etc. All these work could be done with Audio Mp3 Sound Record software. As long as the sound through your sound card, it could be captured and saved to MP3/WAV file.